House of Blues is a chain of restaurants and life music halls, with all locations found within the United States. They serve southern style food, and have live music of all genres that perform at locations. If you would like more information on the House of Blues application, you can read on below. Founded in 1992 in Cambridge, Massachusetts by Isaac Tigrett and Dan Aykroyd, its parent company is Live Nation. They currently have around 13 clubs found across America. They are currently headquartered out of Los Angeles, California. Many top names in music can be found performing at these locations on a regular basis. This company has a passion for music and great food. They also believe in giving back to the local communities. They open for Thanksgiving in order to feed the homeless. They also have an effort to support local artists and musicians. They also have a foundation called “Music Forward”, which has a mission of encouraging youth to become involved and educated about music and how it helps their culture. If you have a passion for music and food, this can be an excellent place for you to work. This company takes both of these very seriously, and is looking for employees that can provide quality customer service to their guests. They are also looking for people who are willing to give back to their local communities as well, since social responsibility is very important to them. This company has a huge variety of opportunities for people of all skills and talents between their corporate office and their individual House of Blues locations. The clubs have many entry-level positions for people who are looking to turn their job into a House of Blues career. Some club positions are cocktail waitress, server, and line cook. The corporate office has a wide variety of options available to job seekers of all abilities in different fields. While the corporate office has some entry-level positions, most positions are higher level positions with more requirements to gain employment. Some positions found in the corporate office include marketing, business analyst, and web production. The various different positions within this company have different requirements to gain employment. Entry-level positions may only require a high school diploma or equivalent and little experience to gain employment. Higher level positions may require a college degree and several years of experience. How old do you have to be to work at House of Blues? The minimum age of employment is 18 years of age. House of Blues offers benefits packages similar to others in their industry. Employee eligibility for benefits can depend on hours worked weekly and job title. Some benefits include health insurance, dental and vision plans. They may also receive paid time off, 401(k), life insurance policies. There may also be career advancement opportunities. The hours of operation can vary depending on location and holidays. Some holidays may cause full day or half day closures. For more information, check your local club for hours of operation. In general, hours of operation can be Monday through Friday from 11:30am to 2:00am, Saturday from 10:00am to 2:00am, and Sunday from 11:00am to 10:00pm. Cocktail Server- A cocktail server is responsible for offering and up-selling beverages, and sometimes food, to customers. They should have an excellent knowledge of beverages, and have bottle service skills. A cocktail server must have completed a course in alcohol awareness or of similar type training. A cocktail server may earn around $2 per hour, not including tips. Security Guard- A security guard is responsible for maintaining the security of all patrons, staff, and performers. They will prevent and help resolve problems among guests. They will check the ID’s for anyone guest to ensure underage guests are not being served alcohol. They must work as a team with the other security guards. A security guard may earn around $10 per hour. Food Server- A food server is responsible for greeting guests upon being seated. They will take orders, and make note of any allergies or special requests on their order. They will also clear tables when guests are done. A server should have knowledge of menu items, to answer questions. A server may earn around $5 per hour, not including tips. Prep Cook- A prep cook is responsible for preparing food for service. They will do this in accordance with the company’s standard recipes. They must ensure that no food has spoiled, and dispose of food that has. They will assist as requested by fellow employees. They will also be sure that the kitchen is clean and organized at all times. A prep cook may earn around $10 per hour. Why do you want to work at House of Blues? This question may require some research prior to your interview. The interviewer is looking to see if you understand what the company stands for and their history. Describe which values that you feel you share with the company, and why that makes you a good fit to work here. What is your 5 year plan? The interviewer is looking for employees that have staying power at the company. Discuss what your future goals are, and how this company fits into your career plans. Can you work in a very noisy and fast-paced environment? This is a club where there is often loud music playing. The interviewer is looking for employees who can keep up in a fast-paced environment and work with very loud noises. Answer honestly about your ability to work in this type of environment. Why should we choose you over the other applicants? The interviewer is giving you the opportunity to sell yourself to the company. Take this chance to discuss your strengths and talents, and why you feel the company would benefit from them. Try not to sound too boastful. Do you have a passion and knowledge of music? Before anything else, this company is a music facility that sells food. They want employees to have the same love and knowledge of music as they do. Describe your feelings about various genres of music. 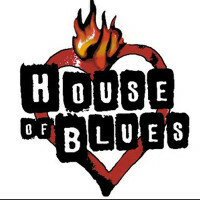 If you are wondering how to apply at House of Blues, you can apply for a House of Blues job on House of Blues jobs online. You may also fill out an application form at your local club. There are no printable applications online. There are no downloadable applications online. The easiest way to apply is to apply directly online. The company website has the job descriptions and responsibilities clearly stated so that job seekers can find a match for them. You should only apply for a position that you are qualified for. You should remember to fill out the application completely and according to the instructions provided. Remember to submit an updated resume along with your application. After applying for the company, you should hear back within a reasonable amount of time. If not, you can call up the location that you applied at to check the status of your application, and to see if they are still hiring for that position. They may also provide additional information, such as when interviews will begin. You may want to prepare for your interview beforehand. You can do this by asking yourself potential interview questions and answering them out loud. This will help you be less nervous for your job interview. This will also help you be more confident and articulate during your interview. You should also remember to dress in a professional manner. This can help increase your chance of getting the job. Hooters: Visit the Hooters application. Little Caesars: See our guide for careers at Little Caesars. Reinhart Foodservice: For employment at Reinhart Foodservice visit the application page. Domino’s Pizza: Use the Domino’s Pizza job application to apply here. Ben E. Keith: For employment at Ben E. Keith visit the application page.